The ability to communicate quickly in wartime can profoundly affect military actions and outcomes. Communication in the field was assisted with the success of new portable tabletop printing presses at the beginning of the American Civil War (1861–65). 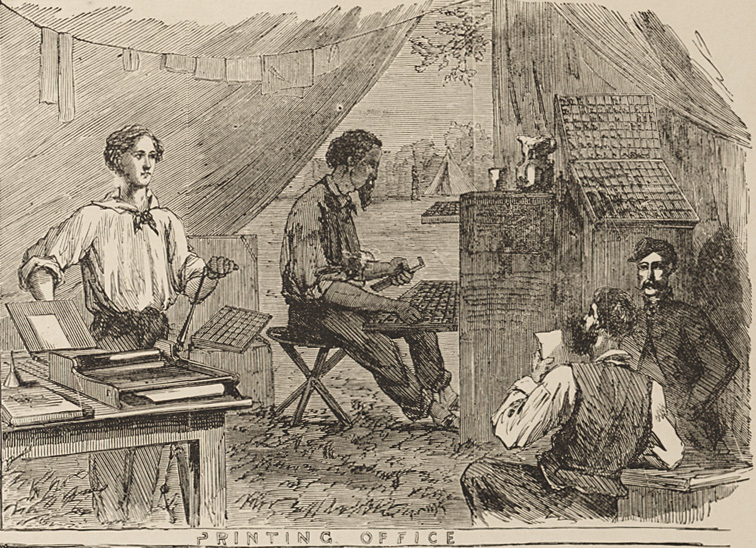 By the middle of the war, these inexpensive and portable presses had been purchased by many field units of the Union and the Confederate armies and navies. They allowed for the rapid production and wide distribution of urgent orders, as well as more routine documents like requisitions, along with entertaining material such as unit newsletters.